This project was concluded at the end of 2016. It was a highly successful supply chain collaboration between eight industrial and academic partners, which attracted over £500,000 of grant funding from the UK’s Innovation Agency – Innovate UK. The main deliverable from the project was the world’s first continuous process for the recovery of high value wood fibres from end of life medium density fibreboard. A pilot plant was constructed in the UK and has remained operational to the present day. This pilot continues to be used to demonstrate the effectiveness of the MDFR recycling process to potential customers from across Europe. The research and development that was undertaken during this project has been instrumental in forging commercial relationships that will accelerate the progress and adoption of the technology at commercial scale. The MDFR technology offers a mature manufacturing sector, worth £31 billion globally, the opportunity to implement closed loop recycling for the first time. The move towards the Circular Economy is an important development for this industry, which produces over 80 million tonnes of product every year, none of which is currently recycled. By supporting this work, Innovate UK has facilitated the opportunity for significant revenue generation and export opportunities for a UK SME. The Technology Strategy Board (TSB), now known as InnovateUK is a business-led executive non-departmental public body, established by the Government. Its role is to promote and support research into, and development and exploitation of, technology and innovation for the benefit of UK business, in order to increase economic growth and improve quality of life. In November 2013, the TSB announced a competition concerning “Supply Chain Innovation Towards a Circular Economy”. It intended to invest up to £5m in collaborative research and development that aims to preserve the value of products and/or materials at end-of-life and keeps them in productive use for longer. A major strategy for achieving more sustainable use of resources is to move towards a more ‘circular’ economy in which materials are used many times and where the quality and economic value of those materials are maintained at a high level. Around 1m tons of medium density fibreboard (MDF) is used every year in the UK with none currently recycled. MDF Recovery’s patented recycling technology was, therefore, a perfect fit for this TSB program. MDFR and its consortium partners applied to the competition and were successful in securing a large grant for a project called “Medium Density Fibreboard: Enhancing Supply Chain Value”. The ultimate goal of the project is to design, build and operate a pilot scale waste MDF processing plant that will demonstrate the effectiveness of the concept. This will facilitate the subsequent scaling up of the technology to commercial scale and introduction of closed loop recycling for waste MDF in the UK. This project will disrupt the current linear supply chain model used for the treatment of waste medium density fibreboard (MDF) in the UK. It will add significant value to a problematic waste stream by developing the world’s first continuous recycling technology for the recovery of wood fibres from this material. High quality fibres will be re-supplied to the MDF manufacturing industry for production of new boards. They will also be used by MDF Recovery Ltd (MDFR) to manufacture thermal insulation batts for a growing insulation market. These batts will out-perform mineral wool equivalents and for the first time in the UK, be offered at a similar price, thereby breaking down the most dominant barrier to market for natural fibre based products. The retail and construction sectors have ‘bought into’ this technology and will support its commercialisation via a commitment to supply waste MDF based shop fittings and furniture for re-processing. Products containing the recycled fibres will be purchased to ‘close the loop’ and transform supply chain behaviour towards circularity. Landfilling or incinerating waste MDF will end and a more effective use of this resource will become the norm. MDF Recovery Ltd has developed a novel, proprietary process to recover wood fibre from waste MDF. Until now, landfill or burning were the only options for disposing of MDF. We offer a better ecological solution for MDF disposal, which generates a new raw material source for the wood/natural fibre industry that reduces demand on standing forests. The recovered fibre is of the same high quality as virgin wood fibre and provides a feedstock to the manufacturers of MDF board, insulation products and formable packing materials. Axium Process has established considerable expertise in the field of liquid separation technology by means of microfiltration, ultrafiltration, nanofiltration and reverse osmosis. The company specialises in the design and manufacture of membrane treatment systems and has unique and comprehensive experience of liquid waste products. 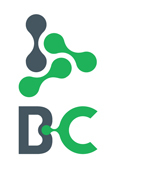 The BioComposites Centre (BC) is recognised as a EU Centre of Excellence in the forest product sector. It has a track record in assisting companies develop new technologies and products for over 25 years. The Centre has a dedicated pilot plant facility for the production of wood based panel products that is unique to the UK. The facilities include a pressurised 12” refiner and a 120m flash tube drier and cyclone systems for the refining and drying of biomass materials. Additional facilities at BC include mechanical sifting, wet fractionation and fibre analysis techniques. C-Tech Innovation has more than 30 years experience in design and build of specialised heating equipment for a wide variety of applications. C-Tech Innovation has in house workshops and a design office with an extensive team of highly skilled design engineers, mechanical and electrical technicians. This gives us the capability to carry out the complete design and build of equipment in house. Thermal engineering is a core area of expertise and our team has a strong track record in producing specialised equipment to meet industrial customers’ requirements. Innovative services and solutions, helping Facilities and Site Managers to maintain, control and improve business sustainability. Cleaning and Waste Management strategies to meet environmental objectives and improve your workspace experience. Compliance Audits, Consultancy, Action Planning and Project Management for enhanced corporate reputation and reduced liability. Costs Reduction and Contracts Management for improved services and value derivation. Across three decades Natural Building Technologies has been dedicated to offering simple, robust and effective systems for better building. With experience built up over more than 2,000 successful projects, what differentiates NBT is our whole house approach. We’ve developed solutions for the whole building envelope – new build and refurbishment – meaning there are no unintended consequences where project elements work against each other. We’ve developed joined-up processes to help you deliver your projects with expert technical, design and construction support. We’ve built a reputation for long-term monitoring and evaluation to ensure performance targets are being met. And using only natural materials, everything we do is based on our commitment to getting it right for people, nature and the built environment. SITA UK was established in 1988 and currently employs more than 5,500 people. We have a proud history of delivering environmentally responsible and innovative waste solutions. A recycling and resource management company, we deliver solutions to 12 million residents and 40,000 business customers throughout the UK. We enable all our customers to reduce their impact on the environment by using waste to create new products or generate energy, helping to conserve natural resources and reduce landfill. Our services are tailored to meet the specific needs of our customers, which include a large variety of businesses and local authorities. Operating in over 300 locations throughout the UK – from household waste recycling centres, transfer stations and landfills, to energy-from-waste, recycling, composting and secure shredding facilities – we are able to provide an extensive range of managed services.